Cork Ladies reach League final! 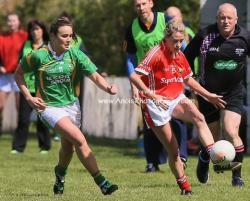 Well done to Orla and the Cork Seniors who beat Kerry yesterday and and are now through to the League final V Galway. Orla played a big part in the victory scoring 3 points! 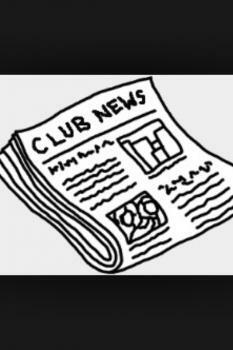 Junior football V Tracton tonight at 7.15 in Kinsale! 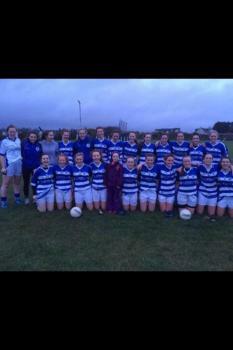 Well done to the intermediates who beat Ballinora 1-12 to 1-10 in the League today. The Junior Ladies drew 2-12 apiece away to Watergrasshill today in their second game of the League after a win last week against Courceys! Reminder that Camogie training will take place in Kinsale pitch at 11.15 today!Great day for it! Good luck to the Intermediates V Ballinora in Kinsale today at 3.30pm and to the Junior Ladies away to Watergrasshill at 3.30pm. Come along and show your support on this beautiful day!! Well done t the U14 hurlers who beat Aghada this eve 2-8 to 0-7. Tonight's fixturesU14 Hurling match tonight in Dunderrow at 715 v Aghada. U16 ladies Football Challenge V Castlehaven in Kinsale.Pls Support! Kinsale U21 Ladies reach the County final! 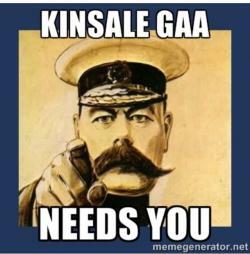 U21 Ladies C'ship County Semi finalKinsale V CarrigalineThurs, April 2nd, 6.45pm in Kinsale,Pls. Show your support. Good to the U21 Ladies in the County 1/4 final in Kinsale this evening, Sat. March 28th, at 5.30pm. Pls. come along and show your support!